You already have a million things to worry about. Leave worrying about finding the best possible solution for your voice needs to the experts, ITD Solutions! We have partnerships with all of the top Voice Services providers around the globe. From POTS lines to Hosted VoIP we can find you the best possible solution for your exact needs and it’s all done with ONE point of contact at ZERO cost to you. Do you know how many hours it takes for 1 person to evaluate all of the possible solutions when replacing a 100 person phone system? Think of how many voice providers you need to meet with to fully understand all of your options? Especially if you are looking at migrating your voice to the cloud (Hosted VoIP). Not all providers are the same so the research and homework is required. Leave it to the experts. Our free detailed analysis will help you determine your exact needs and wants. Then, once we have this nailed down, we can seek out and find the best providers that fit your every need. Because of our long term relationships and large buying power, 99% of the time we can get you a better deal then if you were to go directly to the providers yourself. Now that you have found the best solution wouldn’t it be great to just call or email one person to handle any support issues? That’s where our dedicated account managers come in. We will manage your carrier relation for you and it doesn’t cost you a dime. Voice PRI (Primary Rate Interface) is an even higher-performing version of Voice T1. PRI connections offer advanced features like sophisticated Caller ID and unmatched telecom trunking efficiency. The only difference between a full voice T1 (24 channels of Voice) and a PRI (23 voice channels 1 data channel) is the signaling. With a PRI you can have your standard caller ID features and data signaling typically needed for analytics. POTS is just a fancy way of referring to “plain old telephone service”! But at ITD Solution, there’s nothing “plain” or “old” about the telephone services we help you find. We offer traditional POTS packages from the world’s best telecom suppliers, negotiating the best business and long-distance price plans for any budget. Traditional phone lines have never worked so well! Would you like to manage only one bill for all your POTS lines all around the country? We can help you find one single solution anywhere the country all with 1 point of contact for sales and support. Not all providers are created equal. How do you know what the best solution is for your exact needs? Do you really have the time to evaluate all of the options on todays market? 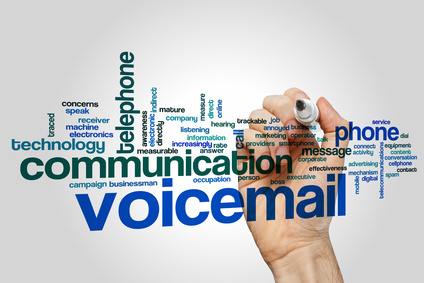 Our free detailed VoIP evaluation will allow us to find out exactly what you need and want. With this data we will be able to help you find the best possible solution for your exact needs. Don’t get lost in the clouds, let ITD help you find your way. T1’s are among the most reliable digital transmission services available in North America. In a T1, 24 separate channels work together to transmit data at the bullet-fast speed of 1.544 megabytes per second. Of these 24 channels you can decide how many you want for voice and how many you want for data. Or you can use the entire 1.5 mbps for internet and only take up 64kbps for voice every time an outside call is placed/received. From a voice services perspective, a Voice T1 is one of the most flexible and cost-effective options on the market. They allow you to assign a different phone number for each employee. It’s also one of the most inexpensive ways to make long-distance or international calls. And to top it off, Voice T1 connections are reliably crystal-clear. T1 offers the pricing and flexibility that you just couldn’t get by using dozens of individual lines together. T1’s also have a 4 hour mean time to repair, unlike cable providers that offer a 24-48 hour mean time to repair. Three things matter most for your SIP services: (1) reliability of connection, (2) quality of of SIP Provider and (3) price. We keep the first two high and the third — that is, the price — low. And if you’re looking to migrate to an SIP system now, we can work closely with our suppliers to make sure the transition is so seamless you never even experience an interruption in voice services. Find out why we’re a leader in voice & VoIP services — simplifying telephony for clients all around the world. ITD Solutions is a proven leader in Voice & VoIP Services. We represent the best service providers for companies all around the world. We seek out and find the best of the best in the voice services and telecommunications industry so that you can focus on running your business instead. We have long-standing agreements with the world’s major telecom suppliers, and we can leverage those relationships on your behalf.